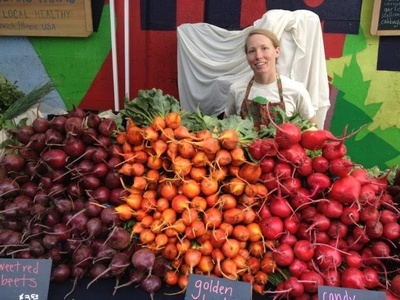 Find your favorite local foods--from fruits and veggies to baked goods & lunch items, to meats, cheeses, tofu, and more at Rogers Park's favorite farmers market. This is the place to get your grocery shopping done, meet a neighbor, and support local farmers & food artisans. We can't wait to see you on the street, southbound Glenwood between Morse & Lunt. 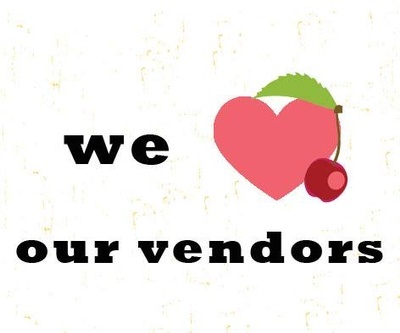 For a vendors list visit, www.glenwoodsundaymarket.org/vendors. 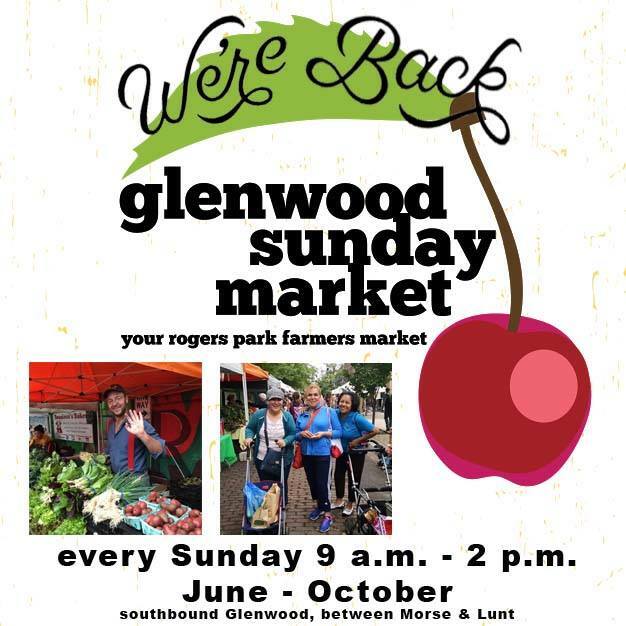 To stay up to date with opening day shenanigans "like" GSM's Facebook page, www.facebook.com/GlenwoodSunday. Southbound Glenwood Avenue between Lunt and Morse Avenues next to the CTA Red Line Morse Stop.